[New for 2018] I'm basically addicted to having my afternoon ice cream at work but all three pints in the work freezer have too much chocolate in them and right now I have way too much heartburn. I hate not finishing what I have on hand first, but let's see if we can't find something at Wegman's that will go down a bit easier. Oh yeah, this is both tempting and on sale for just $3.99 a pint. I do love my cinnamon, and I do love sales, and I have been meaning to get High Road in my belly forever now. Technically High Road did send a care package to Nick back in April but many of the samples didn't make it, and of those that did, only one got reviewed. I guess that's my way of apologizing to them since I suspect that they had hoped for more than a lone blog post and a lone instagram post... Why am I rambling right now? Sorry, back to the good stuff. Ok, so here it is, and as you can (maybe) see, it has suffered a bit of freezer burn. Bummer. I dig in anyway, and you know what? This one is still good despite the texture getting roughed up a bit. Side note: someone posted a picture of this flavor on instagram but their pint had a giant puddle of the swirl on top (so jealous). You see that bit of swirl you see in the top right quadrant? Yeah, that was one of my early bites and the swirl is delicious and borderline dangerous. It's got a ton of cinnamon flavor to it, and it's sweet, but it dances on the borderline of being too spicy, like a cinnamon fireball. The impressive thing here is that this pint stayed on that borderline without ever scaring me off. The cinnamon in the base and the swirl stays robust without making me uncomfortable. The kick is there but I just kept scooping. Yes, there are streusel crumble bits mixed in. They are fairly dense and enjoyable. I could have used more but when do you ever get enough crumble in an ice cream? What else? The texture got better as I scooped down (away from the freeze burned top). I bet this stuff is pretty killer when it's fresh off the line. Ok, sorry if there aren't more specifics to start but I was really enamored with the flavor profile and just focused on that while I was eating. If you are wondering if the bold cinnamon helped my heartburn, the answer is no. Whoops. Live and learn I guess. That said, I still really enjoyed this flavor. I should have tried it sooner for sure.... wait, I just found a press release that says this is one of three new flavors for 2018. So good, I'm not too late on this one! 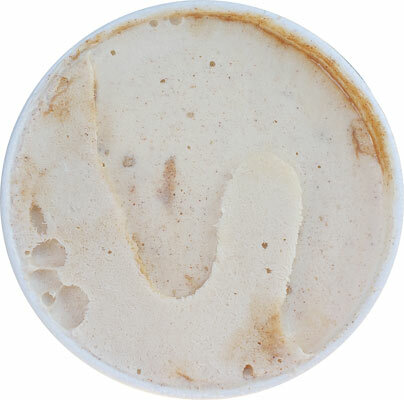 I like the part of the press release that describes the swirl as a "maple brown sugar swirl". Yup, that's why it tasted delicious. To all my cinnamon lovin' friends out there, go ahead and track this one down. On Second Scoop: So tasty. Still got a kick. Did I mention it's quite tasty? 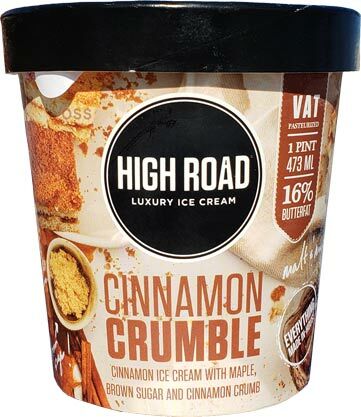 I've had High Road a couple of times and each time it had the 'freezer burn'. Not sure if it is just a brand that doesn't get much turn over or what, but seems to be a common issue. 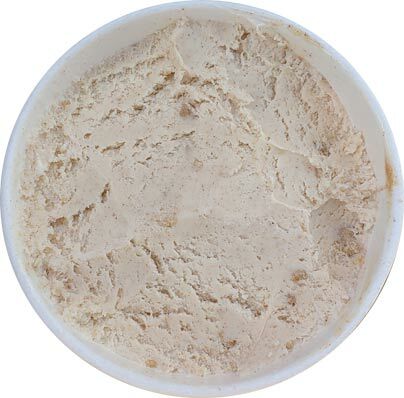 Hey, sorry for posting a comment unrelated to this review, but I was curious if you've ever tried Welsh Farms brand ice cream? I'd heard of them before, but thought they were regional, and I just recently saw them appear in the grocery aisle pint game (albeit faux-pints, just 14oz.) Would love any thoughts if you've tried. @May: Ummmm, they barely exist online. Did you see them in Jersey or New York?